The Temple of the Emerald Buddha is a magnificent religious center of Bangkok. It is located inside the Royal Palace, on the banks of the river that runs through the city. Small in size compared to other temples, cathedrals, mosques or synagogue, it is of great importance to the Thai people. But it is above all a masterpiece of architecture and decoration. 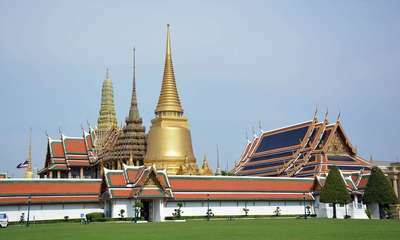 Its visit is almost obligatory when one goes to Bangkok, it is part of the circuit of the main monuments of the city. It's a bit like the triumphal arch in Paris or the Colosseum in Rome. 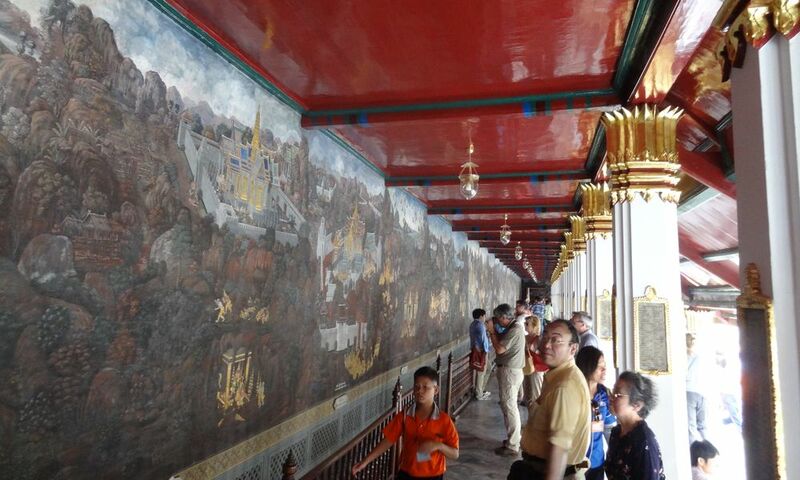 To get to the Royal Palace, which houses the Temple of the Emerald Buddha, there is not much money. Forget the metro and the skytrain, both do not come here. Either you take a taxi. They are not very expensive and are comfortable. Ask for "Wat Phra Kaeo", even if you show it on a guide, to be sure the driver understands, because the word "Grand Palace" or "Royal Palace" is not popular, on the spot. Either you come in touk-tuk. It's like the taxi, but typical. Much less comfortable than a taxi but much more fun, drivers sometimes take a few risks to get you safely in the traffic. But they are faster than taxis, and often cheaper. Be careful, insist a lot to explain your destination, do not let a doubt hang, because you could find yourself in a lost neighborhood, or in front of the restaurant of the brother-in-law's brother-in-law's neighbor aunt's aunt. driver. Yes, it seems to happen to those who are not firm enough when they explain where they want to go. Either you come by boat. It is a very nice experience to do. There are specialized river passenger transport companies, but you have to find out on the spot to take advantage of them. One tip: if you are on the other side of the river, rather than going to the nearest bridge, which makes you take avenues on foot, go to the river terminal, there is a ferry that takes you across the river. river in minutes for a pittance. Typical and fun. Either you come by bus. It is relatively complicated because it is not a transport usually used by tourists. If you do not understand Thai it is better to avoid it. However for those who can not do otherwise, note that the following lines have a stop in the vicinity of the Royal Palace: 1, 3, 9, 15, 25, 30, 32, 33, 39, 43, 44, 47, 53 , 64, 80, 82, 91, 201, 203, 501, 503, 508 and 512. It's still a lot. 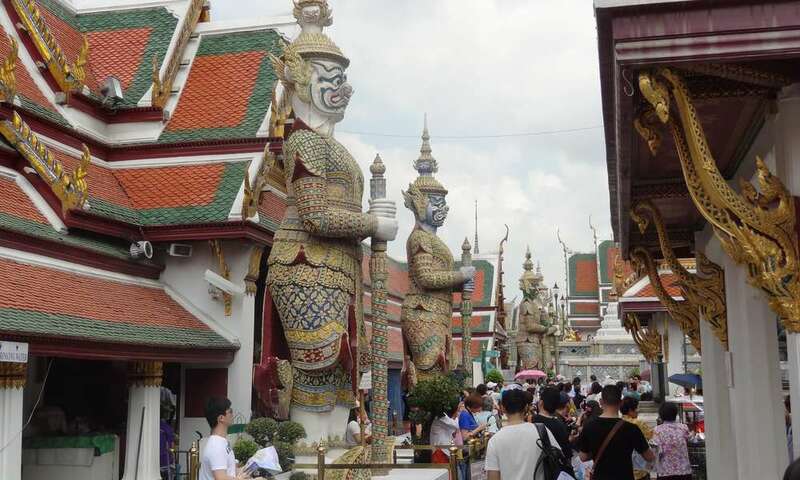 If you visit Bangkok on your own you have a classic and very interesting tour to see, in one day, between three and four of the main monuments of the city. It's very simple, it's not worth it to book and more is fun. From your accommodation go to visit the klongs. These are the canals of the city that we visit by boat. A pilot will take you on an hour tour of these canals, you will see Thonburi, the western district, with beautiful temples, typical houses and especially the real living environment of the inhabitants of the city center. Ask the pilot to leave you at Wat Arun, it is the temple of dawn, the one on the right bank of the river. It is a magnificent temple whose three-story chedi offers a magnificent view of the city. Really, do not miss it. Then, walk to the ferry, it's a stone's throw away, you can not miss it. The ferry takes you to the other side of the river, 200m from the entrance to the Royal Palace. Visit the temple of the Emerald Buddha, the palace, then, if you have the time and the desire, go around the palace and go to visit the temple of the reclining Buddha, it is right next door. This is the famous temple containing a golden Buddha 50m long, lying. It's really taking. That's it, in one day you can simply visit 4 of the greatest wonders of Bangkok. I would recommend doing the Reclining Buddha Temple another day because you might have too much memory in one day. Spacing the visits allows to better soak up the atmosphere, the beauty of what the capital of Thailand has to offer. But the klongs, Wat Arun and Wat Phra Kaeo, there is really a logic to make them together, both geographical and tourist. Learn more about opening hours and rates. The tourist site offers tours in English. you have to find out on the spot to know if they have at disposal a French-speaking guide. These tours are scheduled every day at 10am, 10:30, 14h and 14h30. You can also rent multi-language audioguides. There are some constraints to visiting the temple. First of all you can not enter if you are in shorts, skirt, or if your shoulders are discovered. If you show up in such an outfit you will be repressed. 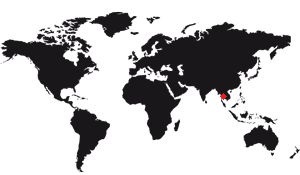 Do not panic, there are 10m long clothing companies ... Yes, that's right. But the price is barely cheaper than new clothes, so if you have time, cross the avenue, there are shops on the other side that will offer the same type of clothing ... that you can keep. Note that this restriction does not apply to children, they can go barefoot. Other constraint, you will have to respect the local traditions. Unpack before entering the ubosoth. Never point someone's foot, let alone Buddha. Silence in a temple. No misplaced reflections, French is sometimes spoken on the spot. It is not because one does not understand a building, a text, an image, that one must denigrate it. Finally, do not take a photo where it's forbidden. For example, it is forbidden to photograph the interior of the ubosoth. The famous Emerald Buddha of course! It is in the ubosoth, it is the name of the building in which it is preserved. It is a large building 50m long, containing a single room, rectangular. Impossible to miss it, it is this magnificent edifice with dark roofs, at the base lined with monsters half-man and half-bird all gilded. He is on a stone platform. The building alone is worth a look. Beautifully proportioned, it is surrounded by worked columns and a stone balustrade that does not weigh down the whole. Its entrance is simple, but its doors are worked with nacre. Inside the paintings tell the story of Buddha, at least some of these moments. They also give information about the Buddhist pantheon, if we can interpret them. 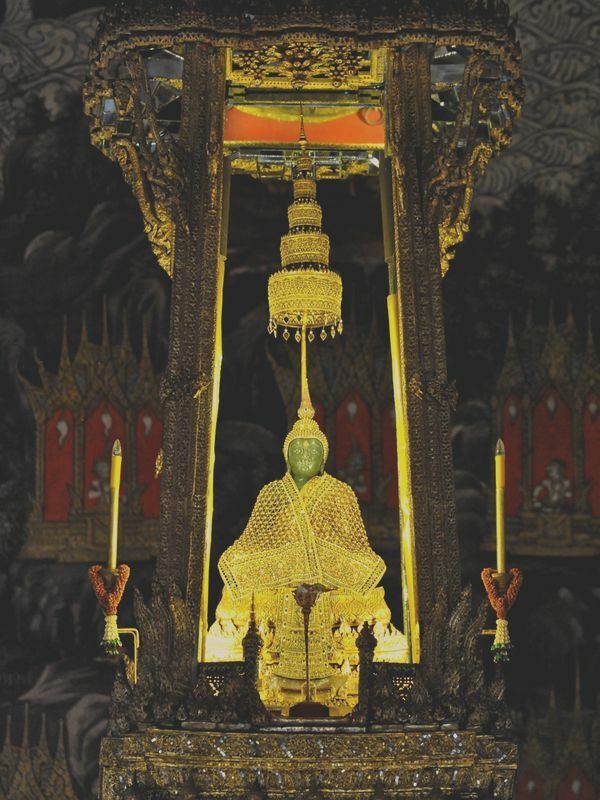 Inside the Emerald Buddha - which is in fact jade - is perched on a gilded three-storey pedestal, richly decorated with a succession of small statues, most of which also represent Buddha. It forms a rather baroque ensemble, but looking up, we find the famous Buddha, usually dressed in gold clothing. It has three outfits that vary depending on the season: The summer dress, the winter and the spring, which was added later to the creation of this tradition. The problem is that it is so high that you will not see it very well, you have to take a step back to see it properly. It could be viewed through the zoom of a camera, but it is forbidden to take pictures in the ubosoth. Apart from the ubosoth you can go around the building to see the 12 small structures that surround it. You can enter shelter from the sun or rain. At the back of the ubosoth there are three small buildings, one of which houses a statue of a hermit. She is supposed to have healing powers, hence the many offerings made to her. In the center of the temple you will find a large platform that contains 5 separate buildings. All 5 absolutely beautiful, they do not allow, alas, to walk inside. But the outside is so beautiful that we are not frustrated. There is the library (the small square building in the center), a golden chedi (in the West), the royal pantheon (in the East), the model of Angkor Wat (in the North) and the Vihân Yod, also in the North. In addition the terrace hosts, at the eastern end, two pretty stupas. Otherwise the architectural element not to be missed is the famous large gallery, which is an open gallery on the inner side to enter and exit at any time. Apart from the beauty of the building itself, it hosts on the wall of the background a fresco several tens of meters long and 2 high resembling the Rakakyan. This is the national history, the story of the construction of the Thai Nation as it is transmitted by popular tradition. We talk about Hanuman for example. These drawings, done again regularly, are of a breathtaking beauty. Finally, while strolling around the temple, you will not be able to miss the magnificent statues guarding the entrances. High 5m, they represent monsters that have been modeled on the physique of Westerners, considered enemies. So these are caricatures. The average duration of a visit to the temple is 2:30, but this average hides a wide variety of time because everyone comes looking for different things. Let's say that under 1 hour, you will really fly over the monument, that is to say that you will walk in the middle of these wonders without really having time to linger. Between 2 and 3am, it's good, you've done a tour of everything, you will be put eyes full. This is the ideal time that allows you to enjoy. But if you are interested in its history, if you know the anecdotes, the significance of the coats of arms that are on the small memorials, if you are interested in Râmakayen, then you can spend much more time there. Only the Ramakayen (story of Thailand told according to popular tradition), it is of such beauty that you can spend hours, and again, without really understanding the story! All the details painted are of a precision ... beautiful, simply. But you'll have that sense of detail everywhere. The base of the ubosoth is protected by fantastic animals, half birds and no men. They hold mythological serpents in their greenhouses, which is to say the interest that can be found only in buildings. 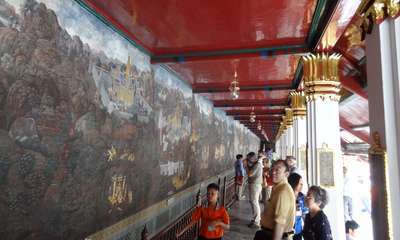 As for the interior of the ubosoth, his murals tell episodes of Buddha's life. Here too, you can spend time before feeling that you have understood everything. This means that if a classic visit takes 2 to 3 hours, you can spend the day there if you really are interested in history, culture and Thai religion. There are some rules to respect when you are in Thailand, they are the result of beliefs that may seem strange but are just as respectable as those imposed by monotheistic religions. They are valid throughout the country, but must be applied with even greater rigor in this highly sacred place. The first of the rules is to take off your shoes when you enter the ubosoth. You will not be asked to do it in every building, but here it is absolutely necessary. There are lockers on the side of the entrance to put on your shoes. Then you will not be able to enter the temple compound with your shoulders or legs uncovered. This rule does not apply to children. Thais find it strange that an adult can walk in shorts, but they accept it without problem. But in a temple, it's harder to accept. Same for bare shoulders. In order not to prevent you from entering vendors, at the entrance, you rent clothes. Of course, it's expensive, so if you have the time, cross the street to buy a covering garment, you can also keep it! Third important rule, never point a shrine with your legs. Never. In the Thai tradition the head is the support of purity, the feet are impure. So we never touch the head of anyone, for fear of "dirtying" symbolically (including that of children! ), As we do not kick someone, it is a gesture considered as a insult. So never point a temple, a shrine, a Buddha of the foot, it is the guarantee to make you send on the roses. And sometimes violently. So in the ubosoth, watch your feet, do not laugh with that. In fact the biggest risk is to want to sit down by stretching your legs. You, it does not seem to you anything, but if they are directed towards Buddha, it is the insult. So fold them under your buttocks, and in doubt, do like the Thai.